All British casino, a Malta-based company, which is licensed and regulated both in the UK and Malta, bears two different licenses issued by the Malta Gaming Authority. The company also runs live feeds of its dealer casino games from the former British colony (Malta). The casino is owned and operated by L&L Europe. L&L Europe, although not so renowned, is an iGaming company which was launched in 2011, whose founders claim to have identified a bridge in the market for an operator to offer “truly localised and specialised” services. Why the Name is “All British”? At first, as a non-British player of online casino games, you may be put-off by the term “All British”, thinking it means that this casino is only for Britons. But, scratch that— this is absolutely an all-people’s casino! That name was adopted by the company because it thinks branding it as that gives it a competitive edge over other casinos. So, the “All British Casino” is basically a casino for every player who wants to give a run for his or her money. What Games are Available in an All British Casino? For video slots and regular slots, instead of organizing games based on popularity or any other metric standard, games are thoroughly organized in alphabetical order in an All British Casino. However, there is usually a handy search function for searching your favourite games. The slots library in this casino consists of games from many different developers. For example, Microgaming (a game-developing company based in the Isle of Man) provides some of its most-played games such as “Hot as Hades”, “Mega Moolah”, and “Jungle Jim: El Dorado”. 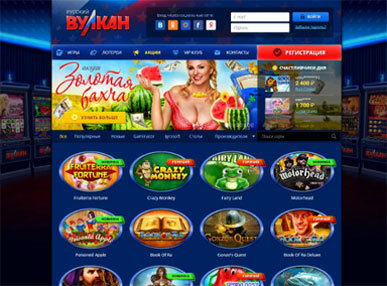 Also, NetEnt, a Swedish company which develops casino games, brings online slots to the joint. “Starburst”, a very popular jewel-based game, has remained a hit, and will likely not fade out anytime soon. “Gonzo’s Quest” is also on the list, as is the twentieth century Fox movie slot “Planet of the Apes”. Another big-titled NetEnt game is “Star Wars”. All British Casino knows that this is an advantage it has over several of its main competitors; but in spite of this clearly established fact, the terms and conditions of all the All British Casino promotions are unbelievably accessible for all kinds of players! Can You Play Slots at an All British Casino on Your Mobile Device? Absolutely! The All British Casino Mobile is available via a casinos web-app. Rather than creating a downloadable app, the All British Casino identifies visitors browsing the casino website on mobile devices and optimizes the content accordingly. So, you can do all you need to do on your mobile device. There is Bad News for Non-Britons Somewhere Here! This is seemingly bad news; so I will be very brief: the bonuses attached to the play-through requirements at an All British Casino are only available to players in the Canada, irrespective of the fact that the casino is licensed in Malta and does not reject registrations from the whole of Europe. So, is there any good in an All British Casino? Well, you will be able to decide that once you weigh the pros and cons. But I would say, there are more goodies than baddies! Sign up today and login tomorrow!